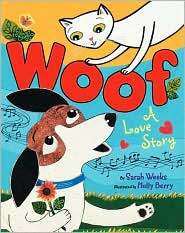 Thanks to Diane S., Munchy has two copies of a new book to give away! 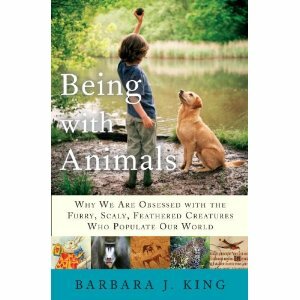 This is Being with Animals: Why We Are Obsessed with the Furry, Scaly, Feathered Creatures Who Populate Our World by Barbara J. King. 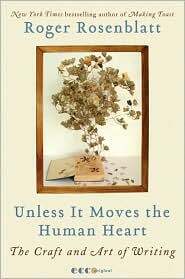 This hardbound release from Doubleday has a value of $24.99 ($29.99 in Canada). We surround ourselves with animals, and yet rarely do we truly stop to think about the pull they have on us. Animals have dominated our lives for tens of thousands of years and continue to rule our existence, but why? Why do people the world over respond to a cartoon mouse named Mickey? Why do sports teams name themselves the Bears and the Eagles? Why does the pet industry thrive even in difficult economic times? Why are we compelled to share our lives with cats, dogs, fish, snakes, turtles, or any other kind of domesticated creature? In Being with Animals, King offers answers to these questions and more. She looks at this phenomenon, from the most obvious animal connections in daily life and culture and over the whole of human history, to show the various roles animals have played in all civilizations. She digs deeply into the importance of the human-animal bond as key to our evolution, as a signficant aspect of understanding what truly makes us human, and looks ahead to explore how our further technological development may affect these important ties. King’s fresh look at the human-animal relationship will resonate deeply with animal lovers, the environmentally minded, and the armchair scientist. Munchy will pick the 2 winners at random. In order to be eligible for this giveaway, you must live in the United States or Canada and have a residential mailing address. Books will not be shipped to a P. O. box or to a business-related address. You have until Monday, February 28, 2011 at Midnight PST to submit your entry or entries. This is it for the “complex” contest rules. Good luck and good reading!